Italy deploys Typhoons in Kuwait to replace AMX aircraft in the fight against Daesh. 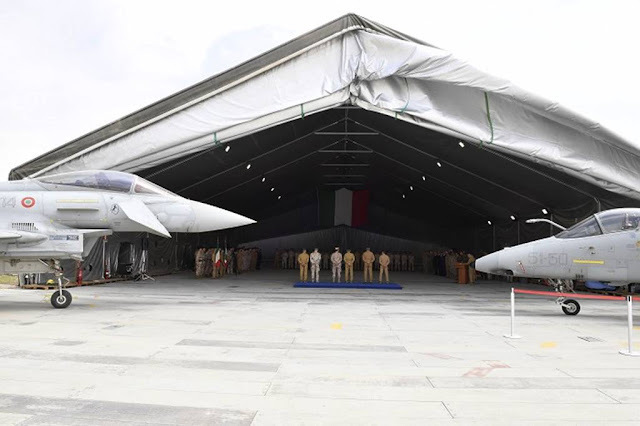 On March 26, the Aeronautica Militare (Italian Air Force) officialised the Transfer Of Authority (TOA) between AMX jets and Eurofighters at the Ahmed Al Jaber airbase, Kuwait. The handover ceremony was headed by the Chief of the Air Staff, Gen. Fernando Giancotti. 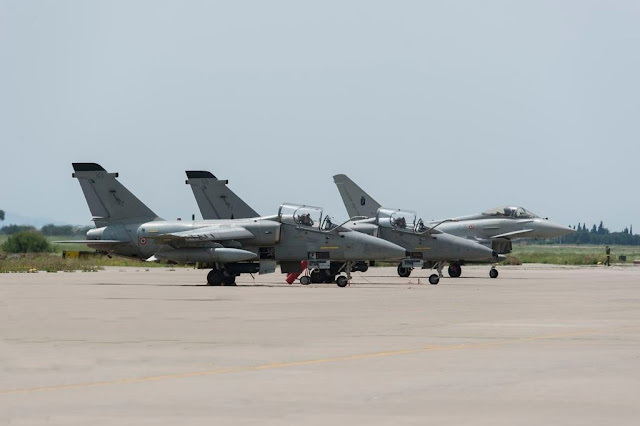 Since 2016, Italian aircraft have been operating from the Kuwaiti base under the "Prima Parthica" operation to support the armed forces of the International Coalition in the fight against Daesh in Iraq. "This ceremony pays tribute to the hard and great work done by the Italian personnel. The staff of the Black Cats Task Group conducted the operations very well together with colleagues from the entire Task Force Air, offering a concrete effort to the International Coalition for the security of the area,” Giancotti said. The tasks of the Italian aircraft remain the same: the four F-2000A Typhoonss will conduct reconnaissance and air surveillance missions to continue to support the Coalition in monitoring and controlling the war theater from the sky. The activity of the Eurofighters, which for the first time are deployed outside the national borders with this type of task, will strengthen those that are conducting the Predator UAVs and the KC-767A tanker. 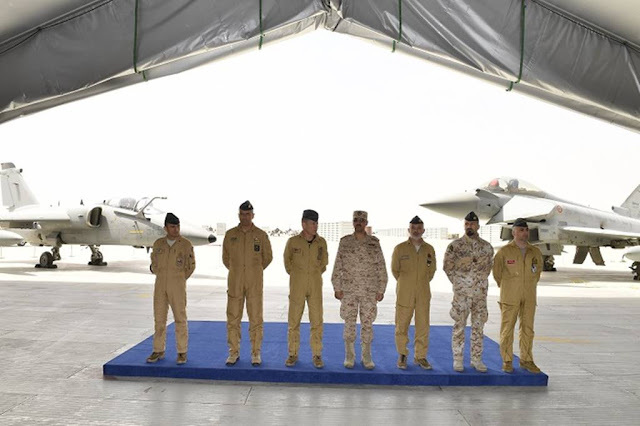 The Black Cats Task Group, reconstituted in the Al Jaber air base in June 2016, after the operational commitment in Afghanistan, operated jointly with the other Coalition units, providing a decisive contribution to the operations - it carried out 6,000 flight hours and provided about 17,000 points of interest thanks to the Reccelite reconnaissance POD of the AMX. This result confirms the great ability of the italian light aircraft, which since 1999 has been largely engaged in real operations. The deployment in Kuwait marks a new international commitment for Italian Eurofighters. During the last 8 years they have participated in several missions abroad as "Unified Protector" and NATO Air Policing operations in Lithuania, Estonia, Bulgaria and Iceland. The Eurofighter will be able to provide the coalition with high resolution images of terrestrial targets, day and night, thanks to the Reccelite reconnaissance POD. The information collected will be sent to ground staff in real time and will then be analyzed by intelligence units. The Eurofighter obtained the certification to operate with the Recelite POD in June 2015 after the successful tests conducted by the Reparto Sperimentale Volo - RSV (Flight Test Unit).